Are Wisconsin OWI Offenders Skipping Their Interlocks? The news is full of stories about drunk drivers violating Wisconsin OWI laws, and that’s not really surprising all things considered. At this time first time offenders who are arrested for Wisconsin OWI receive what amounts to nothing more than a traffic ticket. But letting those first-time offenders get off easily can result in that person becoming a second, third, or four-time offender, and once they get to that point the Wisconsin penalty system will kick in and they’ll be forced to pay the price. Unfortunately a lot of offenders seem to be weighing whether or not they want to actually comply with those penalties, many people may be skipping out on their ignition interlock program. 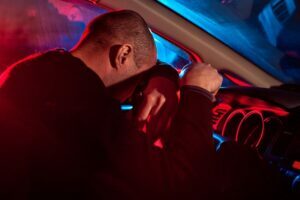 According to the Wisconsin Department of Transportation, there were over 300 convictions relating to either tampering with or failing to install an ignition interlock. 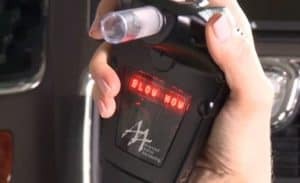 An ignition interlock—a device that requires the drunk driving offender to blow an alcohol-free breath sample before the engine will turn over, is required to be installed on every repeat Wisconsin OWI offender’s vehicle. 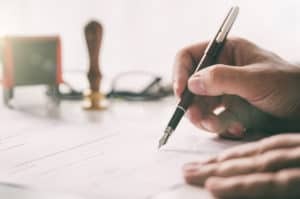 They are also required for any first-time offender who is arrested with a blood alcohol concentration (BAC) of 0.15 or higher and anyone who refuses the breathalyzer when suspected of drunk driving. Without an ignition interlock to stop a convicted drunk driver, that driver can continue to get behind the wheel while drunk. If that happens, he or she could easily crash and kill someone or themselves. That’s why the Wisconsin Bureau of Transportation Safety plans on creating a ignition interlock monitoring program. In order to monitor all ignition interlock offenders, the bureau will need to pair with law enforcement and keep track of all offenders and all data relating to an ignition interlock. From the moment of arrest that person will need to be tracked, and that’s a big project for the state. But out of all the states that should make the effort, Wisconsin is at the top of the list. More than fines, fees, and even jail time, ignition interlocks need to be part of a drunk driver’s rehabilitation program. If they aren’t, there’s no way to change their behavior. When Will Lawmakers Pass A Florida Ignition Interlock Bill? Why would a state pass up an opportunity to crack down on their drunk driving problem? When you consider how significant Florida’s drunk driving problem is, it’s surprising that lawmakers just let the Florida ignition interlock bill die before it could make it to the Governor’s desk. Both MADD and police stood in support of an update to the Florida ignition interlock laws, and the proposed bill was for the stiffest interlock penalty you can pass: an all offender ignition interlock law. An interlock is a device that will stop any drunk driving offender from starting their vehicle when that person has been drinking. Having an all offender law means that everyone, first offenders included, would be required to use the device for a period of time. 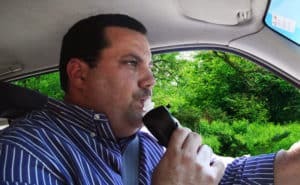 There’s a major difference between the Florida ignition interlock law they have in place and what an offender ignition interlock law would bring to the table. Right now if you’re stopped for drunk driving in Florida and it’s your first offense you will only be required to use an interlock if you meet one of two conditions: if you’re blood alcohol content (BAC) is 0.15 or higher or if you have a minor under the age of 18 in your vehicle at the time of arrest. You’ll also only be required to use an interlock for six months. Just how badly is a Florida ignition interlock bill needed? One repeat drunk driver from Marion County, Florida provides the perfect example of what’s going on in the state. She was arrested for DUI four years ago and when she was convicted based on a near lethal BAC of .410, she told the judge that she was going to get help so it didn’t happen again. Just this year she drove drunk again, and this time, just like many other repeat drunk drivers, she killed someone. Once again her BAC at the time of arrest was .402, and now she’s facing DUI manslaughter charges. If Florida had an all offender interlock law four years ago, this offender would have driven with an interlock and may not have decided to drive drunk again. There’s also no way of knowing how many times she’s been driving drunk in those four years, and that’s why it’s important to use interlocks the first time someone is arrested. Let’s hope the Florida ignition interlock bill will live again, and the state will decide to pass this life saving law. 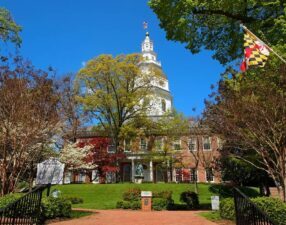 Maryland drunk driving offenders should take note: judges in your state take Maryland ignition interlock law very seriously, and you might want to think twice about violating the conditions of your ignition interlock program. It’s a extreme example, but one that’s worth paying attention to. One Maryland woman killed two men in a drunk driving crash back in 2009, and she was sentenced to jail for her crime. She served four years and was released early with the condition she install and use an ignition interlock, she remain on probation, and she was not to drink alcohol. Instead of sticking to the terms of her probation, she violated it by drinking alcohol. How did the judge know she did that? It was thanks to her ignition interlock. She blew into it and locked it 10 different times because she had alcohol on her breath. In her defense, the woman claimed that it was Altoids that resulted in the ignition interlock failures. Fortunately, the judge didn’t buy that excuse. He called her a liar and sent her back to prison for 16 more years. Clearly the Maryland ignition interlock law is working in the state. Also known as Noah’s Law, it was passed one year ago after Officer Noah Leotta’s family waged a long battle to bring it to Maryland. Noah’s Law requires that all drunk driving offenders — including first time offenders with a BAC of .08 or higher, use the device in any vehicle they drive. If this offender would not have been required to install an ignition interlock as part of her probation, she could have drove drunk again and killed someone else in the process. Now she’ll be spending an additional 16 years in prison considering why she would make the choice to drive drunk again. It might seem like it’s just you and your ignition interlock in the car and it won’t matter if you fail the breath test, but this case shows that violating your ignition interlock program is a serious offense. Nothing good can come of it if you do. How much jail time is enough for causing a Florida drunk driving crash? If one man from Jupiter, Florida is any indication, it’s a lot longer than you might think. A man by the name of Admerson Cleber Eugenio Vicente-Vicente was driving in Pompano Beach in 2015. He was drunk, with a blood alcohol content (BAC) of 0.170, and he drove straight into two sisters who were heading to their mother’s house. Both died from their injuries. This is a Florida drunk driving crash that shouldn’t have happened, and that’s because this offender shouldn’t have been driving, period. He was a repeat offender charged with DUI in 2010. 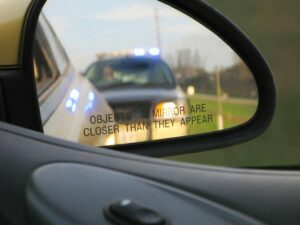 Caught driving with a suspended driver’s license twice since that time, his last conviction resulted in his driver’s license being revoked for five years. Now he’ll be spending 29 years in prison for killing two sisters, and he should count himself fortunate — he could have received 15 years per victim, and the judge also decided to give him credit for time served. It’s clear from this case that the statistics on driver’s license suspension are accurate. Mothers Against Drunk Driving (MADD) has shared data showing 50 to 70% of drunk drivers will continue to drive on a suspended license, and when they do, this is can happen. This Florida drunk driving crash also shows just how much Florida needs an all offender ignition interlock law. An all offender ignition interlock law — requiring ignition interlocks for first offenders with a BAC of .08 or higher, is a requirement in 30 states right now. Why doesn’t Florida, a state with a serious drunk driving problem and numerous drunk driving crashes each year, have an all offender law yet? It’s a question someone may want to ask lawmakers in the Florida Senate. They just allowed a bill that would have required ignition interlocks for all offenders to die this past spring, and there’s no sign of bringing it back to life yet. How much longer will Florida wait to pass this lifesaving law? The holiday season is about to kick off and with it comes big news in the world of Wisconsin drunk driving. There are four new bills on the table in front of the Wisconsin Senate, and if they pass there’s going to be big changes coming for drunk driving laws. Here’s a look at what the bills propose and what will change for Wisconsin drunk driving laws if they pass. Wisconsin is the only state that doesn’t criminalize a first operating while impaired (OWI) offense, and that’s long been a bone of contention for anti-drunk driving advocates in the state. If a new bill passes a first time OWI will be finally be criminalized, and that means first offenders are treated more seriously than if they were being stopped for a simple traffic ticket. 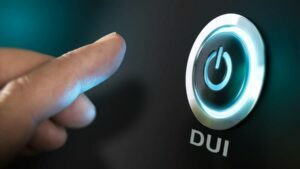 Although they aren’t contemplating an all offender ignition interlock law – requiring an ignition interlock for first offenders charged with a BAC of .08 or over, Wisconsin lawmakers are considering an upgrade to their current laws. They’d like to bring in an interlock law for any offender charged with a BAC of .15 or higher. There’s no walking away from a drunk driving crash when you’ve killed someone, and for that crime in Wisconsin you could be spending more time in prison. At the very minimum you could receive five years in prison for a drunk driving crash causing death. It’s hard to believe that people can rack up five and six OWI offenses without realizing that drunk driving is the wrong choice. 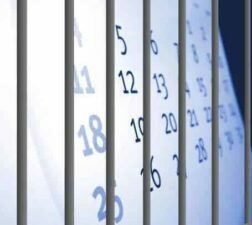 These offenders may finally get the message if a new bill requiring more jail time passes, or at the very least they’ll have more time to think about their choice. Instead of six months in jail, they could be looking at 18 months behind bars. These bills have the potential to change Wisconsin drunk driving laws for the better, but more can be done in the state. An all offender ignition interlock law that works to put an interlock on every offender’s vehicle would be a good step for the state. The device stops first offenders from becoming repeat offenders, and if other states with all offender laws are any indication, once you do that you can drop your drunk driving rates significantly. There’s a lot going on in the world of Massachusetts drunk driving lately, and a few new bills have been proposed to stop drunk driving offenders and ensure safer roads for everyone in the state. Out of all the bills, the one that’s generating the most interest is the Massachusetts ignition interlock bill. This bill has been on the agenda several times but it’s never passed, and now Representative Louis Kafka has brought it to the table again. The bill proposes that anyone convicted of drunk driving for the first time would be required to use an ignition interlock device for six months. 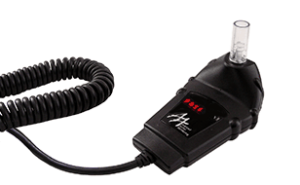 An ignition interlock – a device that tests your blood alcohol content (BAC) every time you start the car, would be required instead of a driver’s license suspension. If passed, the new law would be a change from current ignition interlock laws designed to stop Massachusetts drunk driving. Right now, ignition interlocks are only required for offenders charged two or more times and who receive a hardship driver’s license. Representative Kafka has made a passionate plea for ignition interlocks as a means for drunk drivers to continue to work, drive their families, and resume their lives after a Massachusetts drunk driving conviction, but the bill has a long road before it’s law. A similar bill never made it out of the House Ways and Means Committee when it was proposed, and this bill is currently in front of the Transportation Committee and waiting for a hearing. Although it’s in limbo the good news is that organizations like Mothers Against Drunk Driving (MADD) and AAA are all testifying on behalf of it, so there’s a positive force pushing it forward. This could be the year that Massachusetts focuses on public safety and puts a lock down on all drunk driving offenders. Let’s hope there’s good news coming from the state soon.